Ever since the financial crisis crept from the United States to Europe in 2008, we have observed change in the international system, in general, and in Asia, in particular, which, in turn, has global repercussions with the re-emergence of China. Change follows change, adding to complexity: while China’s role as the economic power house was the prevailing narrative, the slowing down of its phenomenal and decades-long growth process and the necessity to adapt through reforms has changed the perception and perspective again. Will China be able to continue playing this crucial role and implement reforms internally while pursuing its centennial grand designs of 2020—100 years of the Chinese Communist Party (CCP) ("moderately well-off society")—and 2049—100 years of the People’s Republic of China (PRC) ("a modern socialist country that is prosperous, strong, democratic, culturally advanced, and harmonious.”)?1 Will the “China Dream” be realized, built on a domestic growth model supported by investment diplomacy (“One Belt, One Road” [OBOR]), or will domestic tensions paired with nationalism confirm a rather revisionist foreign policy? The path will be determined by status quo policies or revisionist policies, by multipolarity or a functional hegemon. This, in turn, will determine the extent to which the post-Cold War order will have to change and which Asian system with which traits can develop, e.g., a cooperative or competitive model based on the balance of power model. One of the effects of change within change is that the G2 model of shared US and Chinese dominance in Asia is no longer an option, should it ever have been. Japan and India are reinvigorating their foreign policy postures with China’s assertiveness as the main, but not the only, driver. The prime target is Chinese assertiveness in the South China Sea. Therefore, the Philippines and Vietnam and, to a growing degree, ASEAN are hedging with the United States. Russia, frustrated by its marginalization in post-1989-Europe is making another attempt to strengthen its position in Asia. While the first one in organizing the Asia-Pacific Economic Cooperation (APEC) Summit in Vladivostok and joining the East Asia Summit (EAS) was not too successful, and the opening to China produced only limited results in the first half of the 2010s, warming up to Japan in offering a perspective to find a settlement for the Northern Territories/Kurile Islands and a peace treaty in due course appears to be a more viable option. This would match the nationalist agenda of Prime Minister Abe and could prevent close coordination between Japan and the United States. South Korea had to change policy, too. Starting with a principled trustpolitik and the Northeast Asia Peace and Cooperation Initiative (NAPCI)2 and rapprochement with China as a corollary, President Park had to change because of the intransigence of the regime in the DPRK. She had to fall back in line with the US alliance and even overcome the historic animosity with Japan in settling the “comfort women” issue. This allowed a strengthening of the US hub-and-spokes system, in which Australia is becoming a more active participant. For the European Union, working on a new Global Strategy,3 Asia remains a big economic chance but also a challenge as Asia is the area beyond its neighborhood, which necessitates attention and political capital. Calibrating its policy in an environment where its political and strategic ally, the United States, is competing in the Asia-Pacific, which has become economically more important for the European Union than the transatlantic trade, is a challenge in itself. One constant, however, is the persistence of hotspots: the cross-straits relationship, the Korean Peninsula, proliferation, terrorism, re-emergence of maritime disputes, and the many non-traditional security issues including the growing dangerous consequences of climate change and the related environmental threats. While the latter call for cooperative solutions because of common interests anchored in the global nature of the problems, the former are prone to agonizing and interest-based policies. Both areas are challenges for rule making and governance with institutional implications: reforming the prevailing system or striving for solutions in creating new institutions or organisations. This article first analyzes the main features of the present system and then seeks to develop pathways for change and adaptation from the point of view of the European Union, which because of its very nature, has a built-in preference for cooperative and integrative solutions built on effective multilateralism. In Asia, there is no continent-wide organization like the African Union, the Organization of American States, and the Organization of Security and Cooperation in Europe (OSCE). The emerging EAS framework and the ASEAN Regional Forum (ARF), as well as APEC and the Asia Europe Meeting (ASEM), although the latter two are not security specific institutions, are the closest to a continent-wide approach in the Asia-Pacific including, however, out-of-the-region participants. The US-led hub-and-spokes alliance and cooperation system is still the security backbone, asymmetric and bilateral in nature. The latter approach as well as the out-of-the-region element has already prompted China to suggest a pan-Asia approach to security at the 2014 Conference on Interaction and Confidence Building Measures in Asia (CICA),5 which aims at reducing the role the United States plays in the Asia Pacific. Excluding the United States from the region is, however, not a Chinese goal, at least not yet, as it would imply the shouldering of more responsibilities than China is presently able and willing to take on. Concerns over nuclear Asia have resurfaced with the DPRK putting the non-proliferation system again under duress. While China and Russia have signed up to the Non-Proliferation Treaty (NPT) and India and Pakistan have de facto been accommodated, there has not been any discernible progress in the reduction of nuclear warheads; on the contrary, their miniaturization and modernization continue worldwide. In Asia, the issues of deployment of nuclear weapons and anti-ballistic defense systems as well as short reaction times, should worse come to worse, have gained traction to which the problem of civilian control of the military is added. In the context of China, the People’s Liberation Army (PLA) clearly serves the party and has become one of the strongholds of President Xi’s regime. This situation provides an unsettling background for the on-going territorial and maritime disputes in the South and East China Seas. Another strategic dimension is whether we will witness a change from the maritime US-based regional system to a focus on the land-based Eurasian one as suggested by the first leg of China’s OBOR initiative, which combines the Eurasian continent approach with a re-invigoration of the maritime Silk Road. This competitive approach is raising the security stakes as evidenced by the intensification of arms sales to the region. Thus, do we have to deal more with Anti-Access Area Denial strategies or connectivity issues in terms of striving to build a system allowing control over infrastructure and energy? Which Future Path to Envisage: Towards a Cooperative or a Hegemonic System? Presently, we observe a regional, functional web of mechanisms based on the intergovernmental approach, e.g., without a hierarchical structure of agenda-setting (clearance) authority. This renders an analysis of the interplay difficult because of the various variables involved and the different importance assigned to them by the actors in the region. States are at a different stage of development, reflecting the full spectrum of political and economic organization, e.g., from democracy to dictatorship, from market economy to managed economy, and state capitalism. Due to the dynamics of change, states move up and down on the scale of power and influence, which can destabilize established orders and institutions and, thereby, create insecurity. Meeting insecurity, in turn, favors new constellations of power. Reactions to this situation can be twofold: defending the existing order or building a new one. In the first case, defense can be sought either dynamically through adaptation according to the rules in place (evolution) or statically in attempting to cement the existing order in the hope to avoid the loss of status and influence. Adherents of the status quo may undertake hedging operations resembling balance of power operations. However, if the evolutionary process is blocked, new or parallel structures will be set up, e.g., the Asian Infrastructure Investment Bank (AIIB). The pendulum may swing from cooperative/multinational efforts to the strengthening of national power embedded in competitive nationalism either to enhance influence in existing organizations/mechanisms, or to create new or parallel structures. In case of asymmetrical power relationships, the bilateral approach with the aim of (regional) dominance may be tempting, which can be beefed up by an alliance system (hub and spokes) or by a power sharing arrangement (spheres of influence, a new type of power relationship, a G2, and etc.). In the more situational cases of NTST, ad hoc actions depending on the nature of the emergency are predominant. Therefore, the institutional underpinning is often weak, as ad hoc solutions are not systematic by nature, and organizational overlaps occur. Timely contingency planning could alleviate burdens and increase efficiency. As “feel good” topics of soft security, they are not contestable in substance, but have a tendency to become an agenda item in various fora as the uncontested and incontestable smallest common denominator. This ad hoc approach is misjudging the complexity of the required answers, which should deliver comprehensive solutions in terms of politics, economics, and re-establishment of the social fabric, often relying on civilian-military missions. In the field of NTST there is a growing need for providing a problem-solving capacity beyond confidence building measures as well as for coordination to avoid duplication. This is best achieved by establishing a network for multi-level stakeholders fostering cross-sectorial international cooperation, which, in turn, would improve global governance. Structural problems of security, e.g., sovereignty issues and situations posing a security dilemma, are more difficult to solve through cooperative security arrangements. Crisis management is facilitated either by a hegemon, an alliance system, or an (effective) international organization. A functional approach to tackle a specific threat—like fighting piracy—can lead to ad hoc coalitions of the interested and willing and also serve as a CBM, as through the cooperation of Japanese and Chinese naval units in the Operation Atalanta of the European Union off the coast of Somalia. Territorial integrity, including protection of borders and islands, still dominates traditional security issues. As foreign policy starts at home, measures to preserve the national order influence regional or international politics: regime stability or guaranteeing regime survival are domestic issues with strong repercussions on regional policies. Finding a common cause (or enemy) abroad can be used to stabilize the domestic situation underpinned with nationalist rhetoric, e.g. competitive nationalism. Thus, interstate, intrastate, and transnational security issues play different roles in Asia’s sub-regions: the first one dominates in Northeast Asia, the second in Southeast Asia and South Asia, while Oceania, because of its geography, has many transnational issues. While this panoply of mechanisms with overlapping memberships and agendas contribute through a dense schedule of meetings to socialization and confidence-building (the ASEAN Way), it often falls short of concrete actions to prevent, contain, or solve security threats. • Continue with pluralism and let many flowers bloom. Finding ad hoc solutions through promoting an issue in an existing framework or setting up a new one. This technique alleviates the concern of smaller countries to be dominated by larger ones or a core group; multiple platforms for different issues with variable participation, allowing specific interests to be pursued, such as regime survival or security. • A more results-oriented functional approach according to the principle of as much institutionalization as necessary to achieve the goal while institution building is not a goal in itself. However, there is a price to be paid in the form of overlapping agendas and an over-supply of meetings, as long as there is no clearing-house mechanism such as clear time limits, sunset clauses, and periodic evaluations. • Institution or regime building with organizational underpinning (ASEAN, APEC, SCO secretariats) leading over time to a management process de facto or de jure by a core group. Godehard regards OBOR as an inclusive, open, and global network of cooperation built around concrete projects rooted in the tradition of Chinese statecraft. She juxtaposes this approach with the “Eurocentric” model, as China puts itself in the center, which would transform the present order.8 This necessitates, however, a coordinated European response to prevent Chinese control over transnational infrastructure projects, the countries involved, and a successful divide and rule approach. The EU-China Connectivity platform should become the political tool to jointly steer the process. This needs a political-strategic approach, taking into account the overall context and not just individual projects. What Contribution by the EU? Until 2014, the European integration model built on four institutional pillars—the European Union, Council of Europe, OSCE, and the North Atlantic Treaty Organization (NATO)—was the unchallenged and rather successful regional security provider, contributing to global security. Europe has become, unlike in earlier times, part of the solution and was no longer part of the problem. However, the post-WWII regime was rendered a serious blow by the illegal annexation of the Crimean Peninsula. Thus, times are changing, and the European Union has to adapt its policy and narrative. The new title for the above mentioned global security concept is no longer the positive “A Secure Europe in a Better World,”9 but the more negative but realistic “the European Union in a changing global environment: a more connected, contested and complex world.”10 The new heading is, in itself, a message. In the last six decades, the European Union has acquired experience and know-how in institution building according to the rule of law, conflict management, disaster management, and, most importantly, overcoming a tradition of war and hatred. Many of these achievements are now challenged, but the assumption and hope is that the trust in institutions and the habit of cooperation will help to weather these challenges. The message for the Asia Pacific is that despite these challenges, the European institutions as well as the member states stick to their values and have the capacity to deal with more than one problem at a time and will, therefore, remain outward-looking and stay engaged with the region. Multilateral institutions or cooperation frameworks have become part of the diplomatic tool box also in Asia, which opens a natural dimension for EU engagement based on its own history and experience. The intensity and propensity of this tool to be used depends on the prevailing culture and historic experience. One of its strengths is the domestication of larger powers, for instance through the ASEAN family of institutions and processes. Therefore, ASEAN centrality could prevent smaller players from being pushed to the sidelines, as institutional arrangements and rules protect them. Multilateralism also serves to prevent bilateral power or influence-sharing arrangements, like a G2. In talking up a “new type of major power relationship” with the United States, China had such a deal on its agenda; however, it was not accepted by the United States, which stood by its prime allies, Japan and Korea, which would have been weakened by such a deal. Other middle powers and India would have difficulty too accepting a bi-hegemonic set-up. This would also run counter to the EU’s efforts to establish itself as a political actor in the region beyond trade and economics. Some important signs of engagement with Asia were overshadowed by the grave refugee situation and the launch of the EU naval operation to eradicate human smugglers and traffickers in the Mediterranean. Nevertheless, the Foreign Affairs Council, June 22, 2015, “held astrategic debate on EU relations with Asia. Ministers stressed the need to continue to strengthen relations at a multilateral level, including on security matters. The Council adopted conclusions on EU-ASEAN relations, notably emphasising the need to move the relationship to a strategic level.”11 In addition, the 2007 Central Asia Strategy was updated by the Council in 2015;12 2016 will be marked by the publication of specific policy papers on Myanmar and China and the organization of a major conference on Afghanistan in Brussels in October, and the Global Strategy will be adopted. Having overcome the de facto blockage of its long-standing relationship with ASEAN over the issue of Myanmar, the European Union as one of the important dialogue partners has honored ASEAN’s call for engagement beyond trade and economics and is ready to go further as laid out in the 2015 EU ASEAN paper13 and the 2012 Bandar Seri Begawan Plan of Action to Strengthen the ASEAN-EU Enhanced Partnership (2013-2017).14 The European Union nominated a dedicated ambassador to ASEAN in 2015; a bi-regional free trade agreement (FTA) remains on the political agenda as well as the possibility to promote the ASEAN-EU relationship to the strategic level. Engagement cannot be a one-way street. This recognizes that: "The EAS is increasingly becoming the leading forum for strategic cooperation in the region, with the United States, China, Japan, South Korea, India, Australia, New Zealand and the Russian Federation as members, but not yet the European Union. Given EU trade, investment and other links, it has a clear interest in stability in the region and thus in promoting a security architecture that is better able to manage the region’s political tensions and in which it plays a key role, including through future accession to the EAS. "15 Therefore, the European Union would like to see its offer to participate actively in the EAS taken up by ASEAN. Since 2011, when the United States and Russia joined, the EAS has moved to center stage in the institutional framework—if not yet in deeds than in terms of rhetoric and discussion. • Will it be upgraded to the leaders’ security forum while foreign ministers continue working in the ARF? • Will the EAS become the pinnacle of the Asian framework or will it be just another step in a process? • Will it duplicate other processes, like ARF or APEC, or develop an agenda setting capacity bringing together various strands of other processes in the region? • Will ASEAN be able to maintain its influence, and centrality, or will it be instrumentalized by either of the larger partners for their own purposes? • Will the EAS be able to provide the much-needed inclusive security structure or will ADMM+ duplicate ARF serve that aim? • Will the EAS extend its ambit beyond East Asia, which is already a misnomer given the present membership, and also include the Indian Ocean where India and the Indian Ocean Rim Association reign supreme? In order to become more influential, the EAS would have to deepen institutionalization through a secretariat within or alongside the ASEAN Secretariat to maintain ASEAN centrality and to move to collegial agenda setting. It would have to seek stronger involvement of non-ASEAN states through joint chairmanships. As the most comprehensive leaders’ meeting, it could define its role more clearly within the ASEAN family and the Asia Pacific in general and act as a sort of clearing house in agenda setting. The challenge is to find a functional approach to cooperation in areas where the European Union credibly can make a difference. The right mix between pursuing interests and values through a principled policy in the Asia-Pacific, where a more parochial, paternalistic, or authoritarian approach produces respectable economic and developmental results, needs to be defined. They can be clad in democratic or dictatorial cloths; however, their sustainability is often challenged because of the need for reform. In devising its policy towards Asia, the European Union has to recognize that it is still perceived in the region primarily as an economic actor/entity, despite all efforts to push the political and security dimension including non-traditional security issues. This perception is also illustrated by the division of labor in China: the Prime Minister Li handling EU summits as primarily economic matters, while President Xi takes care of the political and strategic meetings, such as with the United States, Russia, and India. The reluctance to welcome the European Union in the EAS is another illustration to which one can add the difficulty in understanding the interplay and decision-making among EU-institutions—“why two presidents for one summit?”—and between them and EU member states. The EU will need a new narrative to make a more effective and credible contribution to Asia security. This means concentrating on a few areas where experience, best practices, and working in a transnational environment make the difference: strengthening and participating in the developing regional architecture, contributing to conflict management through upholding the rule of law—in particular in the South China Sea—assuring cyber security, and connecting with OBOR in conjunction with ASEAN connectivity could be a viable selection. This focussed approach has to be anchored in a principled foreign policy advocating even-handily the respect for international law and the value of multilateral cooperation. Less is more because it takes into account resources available, which supports credibility. Thereby, drawing on the soft power inherent in the European social and cultural model is important. • Promote the rule of law in general in the Asia Pacific in particular as an organizing principle of the regional system, including a clear rule-of-law message in handling the situation in the South China Sea, e.g., the peaceful settlement of disputes through diplomatic and/or legal means, including arbitration which excludes unilateral measures, or the use or threat of force while underlining the need to uphold freedoms of navigation and over flight and expressing concern over the deployment of weapons or forces on disputed maritime features. • Support for ASEAN politically but also in terms of finance (Secretariat), training, and involvement to assist it to maintain its claim of ASEAN centrality in the wider region in cooperation with other like-minded partners such as Japan but also the United States; however, in exchange, the European Union can expect the support of ASEAN and other partners for admittance into the relevant regional forums such as the EAS. An agreed road map could operationalize this approach. • Participation in the emerging regime around the East Asia Summit with various ministerial meetings to underpin ASEAN’s role and to strengthen the rule of law. • Foster effective multilateralism in engaging comprehensively in the various cooperative structures and institutions such as the Shanghai Cooperation Organisation (SCO), South Asian Association for Regional Cooperation (SAARC), and Indian Ocean Rim Association, through bringing its decades-long experience of cooperative diplomacy and regime building to the table, thereby also underlining the indivisible nature of security in the globalized system. Plurilateral cooperation or dialogue schemes founded on a geographical approach, which is inherent in the European system, are predominant in Asia, especially in the form of trilateral fora, which also serve as a counter-balancing and hedging tool, such as China-Russia-India, India-Japan-US, Japan-Australia-US, or the institutionalized China-Korea-Japan Trilateral Cooperation with a trilateral secretariat in Seoul, working on a FTA even during politically charged times. • Promote transparency to avoid pressure from conflicts due to complex, often asymmetric, security engagements. • Keep competitive nationalism at bay in order to preserve the freedom of maneuver in crisis and conflict management. • Bring the “OECD (Organisation for Economic Co-operation and Development) element of ASEM,” e.g., the best practice, peer review aspect to the fore while also drawing on the OSCE experience in conflict management paired with the European Union’s own positive record of integration to the Asian theatre for study and discussion in order to contribute to strengthening the regional architecture. • Exchange of best practices and sharing of know-how and experience in overcoming legacies of the past as undertaken as part of NAPCI, where the European Union was invited to join as an experienced out of the region partner. • If requested, act as a mediator/catalyst in crisis situations, building on the experience gained with ASEAN in Aceh, making use of the experience in brokering an agreement on nuclear issues with the Iran experience in relation to the DPRK. A non-partisan, geopolitically neutral institution like the European Union could play a role in engaging an outlaw. • Share experience in building and managing a common market and integrative structures. Given the importance of business and production networks in East Asia, the inclusion of the private sector is important; there is also a need to assure coherence with work done in the ASEM context through the Asia Europe Business Forum (AEBF) and APEC. There is need for a clearing-house function with the goal of rendering the two processes more complementary and supportive given the regional dimension and overlaps in membership, e.g., bringing the EU and US strands in Asia together in the form of functional cooperation in rule making and standard setting to achieve seamless markets (part of the Connectivity project). Contributing and thereby assuring that the newly established AIIB will be run according to best practices of regional development banks, e.g., economically and financially sound projects based on social and environmental impact assessments with decisions taken on the merits of the project and not according to geostrategic considerations, should be part of this policy area, in which the European Investment Bank has considerable experience. • Foster the People-to-People dimension: Including civil society as part of the EU model as evidenced institutionally by the European Economic and Social Committee, the European Social Partnership, and the many on-line consultations undertaken by European institutions. The European Union strives to strengthen this pillar in its bilateral relationships, including with China.17 Furthermore, in the inter-regional context the Asia Europe Foundation (ASEF) in Singapore is the only institution in the ASEM process and should intensify work in its core area. • In leveraging its policies such as trade, investment, development, competition, and transport at the European level and in diversifying and consolidating relationships with a multiplicity of partners in addition to China, including the various emerging regional, transnational, or multilateral institutions, the European Union can pursue its interests more vigorously and effectively and, at the same time, prevent a splitting of the European Union according to perceived national interests. The European Union has to put to work its strength in the Asia-Pacific region. After more than half a century, it has gained ample experience in managing change and is, in reality, an agent of change:18 increasing its membership from six to twenty-eight; expanding from Western Europe to cover most of Europe, from the Arctic to the Mediterranean; and turning former foes into comrades in arms.19 Unlike some of its member states, the European Union has no history of colonialism or imperialism but is bound by its constitution (treaty) to perform a value-based foreign policy, e.g., avoiding a double standard between domestic and foreign policy. Its strength is built on economic and soft power, and, more and more, on smart power, but not on crude military power. As a law-based institution of democracies only, it naturally follows a rule of law approach also in its international relations, advocating the respect of international law and fundamental freedoms worldwide and, thereby, contributing to the development of global governance along these lines. In the Asia-Pacific context, this translates into a staunch advocate of the rule of law in regional relations, drawing credibility from the conduct of its relations in Europe and worldwide. Being neither the United States nor China has become a virtue in itself, which, however, can only be valorized if an active, comprehensive, and credible EU foreign policy, e.g., a policy of the 28 member states, is put to work. Such an approach meets the expectations of partners but also lives up to the international responsibility derived from the fact of being the largest economy on aggregate in the world, ahead of the United States and China, and the largest trader and investor as well as the largest provider of development aid. Engagement for the rule of law and governance aspects, e.g., pushing hard for years to get the fight against climate change on the agenda, to get the Rome Statute of the International Criminal Court ratified, and to abolish capital punishment, is a characteristic of the European Union. 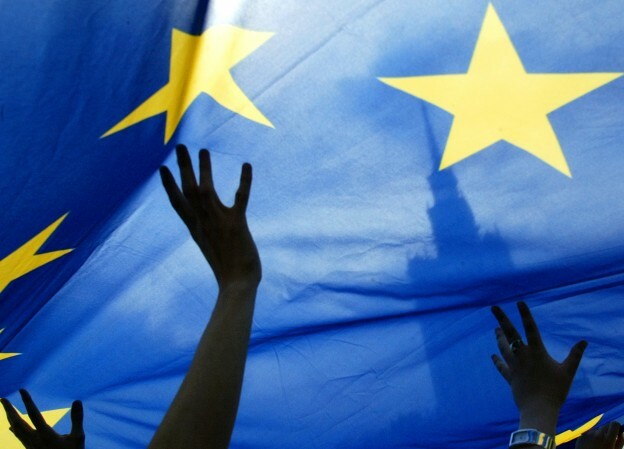 In a realist environment, pursuing European interests, e.g., the aggregate interest of member states transformed on the European level to ensure that the result is larger than the sum of the individual components, is a relatively new challenge in the area of security politics, while, in terms of international trade policy, the European Union is performing this task successfully already for decades. Merging political, economic, financial, and societal interests and concerns into one comprehensive policy is what the European Union is challenged to learn and implement. The Asia Pacific poses a specific challenge. The understanding has to settle in that in today’s globalized world only a global approach assures effectiveness and influence as even big member states are small on an international scale, in the face of the need to tackle burning issues and hotspots in a transnational manner. The European Union has traditionally been a laboratory for developing answers in a regional context, which can inspire international solutions based on a cooperative approach of very diverse partners: “unity in diversity” can go a long way as long as there is enough unity. Acting as a global soft balancer, pursuing a principled albeit interest-based policy anchored in international law and the rule of law in general, striving to support regional and/or multilateral solutions with cooperative diplomacy and soft integration, the European Union can offer a complementary approach to politics in Asia, quite different from major powers competing for supremacy. Given recent developments, this will remain a rare public good for some time to come, which the European Union should pursue in active cooperation with like-minded partners, not least to get the others on the table for dialogue. 1. Shannon Tiezzi, "Why 2020 Is a Make-or-Break Year for China," The Diplomat, May 13, 2015, http://thediplomat.com/2015/02/why-2020-is-a-make-or-break-year-for-china/. 2. Michale Reiterer, "The NAPCI in the Volatile Security Environment of North-East Asia: Which Role for the European Union?” European Foreign Affairs Review 20, no.4 (2015): 573-590. 3. Antonio Missiroli, ed., An EU Global Strategy: Background, Process, References (Paris: European Union Institute for Security Studies, 2015), http://www.iss.europa.eu/uploads/media/Towards_an_EU_Global_Strategy.pdf. 4. Michael Reiterer, "Asia as Part of the EU’s Global Strategy: Reflections on a More Strategic Approach," in Changing Waters—Towards a New EU-Asia Strategy, ed. Olivia Gippner (London: London School of Economics—Dahrendorf Forum, LSE Ideas, Special Report, April 2016), 62-70, http://www.lse.ac.uk/IDEAS/publications/reports/pdf/Changing-Waters-LSE-IDEAS.pdf. 5. “China’s Xi Calls for Asia Security Framework at Summit,” Bloomberg L.P., May 21, 2014,http://www.bloomberg.com/news/articles/2014-05-21/china-s-xi-calls-for-asia-security-framework-at-summit. 6. Stockholm International Peace Research Institute, SIPRI Yearbook 2015 (Oxford University Press, 2015), Chapter 7, http://www.sipri.org/yearbook/2015/07. 7. Michael Reiterer, "The EU’s Comprehensive Approach to Security in Asia," European Foreign Affairs Review 19, no. 1 (2014): 1-21. 8. Nadine Godehardt, “No End of History: A Chinese Alternative Concept of International Order?” (SWP Research Paper, RP2, Berlin, January 2016), 20, https://www.swp-berlin.org/fileadmin/contents/products/research_papers/2016RP02_gdh.pdf. 9. Council of the European Union, “European Security Strategy-A Secure Europe in a Better World” (report, Brussels, December 12, 2003), http://www.consilium.europa.eu/uedocs/cmsupload/78367.pdf. 10. European External Action Service, “The European Union in a Changing Global Environment,” http://eeas.europa.eu/docs/strategic_review/eu-strategic-review_strategic_review_en.pdf; for internal security reform see The European Commission, “European Agenda on Security,” April 28, 2015, http://ec.europa.eu/dgs/home-affairs/e-library/documents/basic-documents/docs/eu_agenda_on_security_en.pdf. 12. European External Action Service, “The EU and Central Asia – A New Partnership in Action,” European External Action Service, June 2009, http://eeas.europa.eu/central_asia/docs/2010_strategy_eu_centralasia_en.pdf; Council of the European Union, “Outcome of Proceedings – Brussels,” June 22, 2015, http://data.consilium.europa.eu/doc/document/ST-10191-2015-INIT/en/pdf. 13. Council of the European Union, “Joint Communication to the European Parliament and the Council: The EU and ASEAN: A Partnership with a Strategic Purpose,” May 18, 2015, http://data.consilium.europa.eu/doc/document/ST-9025-2015-INIT/en/pdf. 16. Association of Southeast Asian States, “Treaty of Amity and Cooperation in Southeast Asia Indonesia, 24 February 1976,” February 24, 1976, http://asean.org/treaty-amity-cooperation-southeast-asia-indonesia-24-february-1976/. 17. Michael Reiterer, “The Role of Culture in EU-China Relations,” European Foreign Affairs Review 19, Special Issue (2014): 135–154. 18. Michael Reiterer, "Does the EU Matter in the ‘Asian’ Century?" Kobe Law Journal 65 (2016): 169.